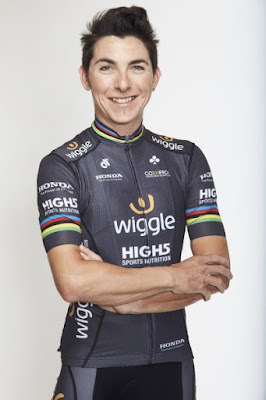 Giorgia Bronzini is a two-time world road champion from 2010 and 2011. She is now one of the veterans in the women’s road racing peloton, but shows no signs of slowing down. Having gained a win at the recent Amgen Breakaway from Heart Disease Women's Tour of California, plus podium places at that race and in the Tour de Yorkshire, Giorgia still has a phenomenal turn of pace as she showed in the stage to Sacramento earlier in the week. I have interviewed Gio (as people call her) a number of times, and I have always found her cheerful, smiling, and with a very zen philosophy about bike racing. "I come from Piacenza, a small city to the south of Milan that is half the size of Manchester. Piacenza has many churches and the centre dates from medieval times. It is easy to get out of the city and there is a river that leads from there to the sea at Genova in Liguria. Sometimes in the summer I ride this route, which is 130km and then get a lift back home. Piacenza is a good area for cycling but not a lot of professional cyclists live there. It’s probably because in the winter the weather is not so fun as it is very foggy, and and in the summer it is quite hot and humid. Spring is perfect, and you can do a circuit with mountains and flat roads. I was a gymnast from age 5 to age 11 and at that time gymnastics classes were very strict and very serious, but I didn’t like being told what to do. I got bored and I wanted to play. My father had a passion for cycling, and one day when there was a bike race for kids in Piacenza he took me to see this race. I saw a lot of children with bikes and they looked very happy, so I asked my father to let me have a go. He took me to join a small team who gave me a bike, and I decided that this was my sport. After all my training from gymnastics I found my first bike race so easy. I had a lot of energy and I won comfortably. I was so happy to go home with a trophy! No one else in my family practices sport to a professional level, but my father and my brother, who is 10 years older than me were very encouraging. There are many women who cycle in Italy and amateur cycling in Italy is very developed. You always find a father who races along with his son and other members of the family. Cycling has been a sport for all ages, although now it has been overtaken by football. For me, cycling is a large part of my life. Through cycling I have been around the world to many different countries and discovered different cultures. I like to learn about different nationalities and cultures. Perhaps some of my schoolmates are just working in the local supermarket in Italy now, but I feel I have a lot of things to share with them about my experiences and this could make their lives feel enriched. I never wanted to have a boring life, and cycling can never be boring! When I won the World Road Race Championships in 2010 at Geelong it was unexpected. No one expected it, not even me! The following year, in Copenhagen the other girls were really hoping to get the rainbow jersey. I knew this, but I was relaxed and I didn’t think I could win two years in a row. But it just happened that the Italian team worked well to put me in the perfect position to be there in the final sprint. I couldn’t believe it because in all the sprints I had done that year, against Marianne Vos and Ina Teutenberg I had lost to them both. And the World Championships was the only time that I beat them! That was a highlight of my career. However, my low point was at the World Championships in 2014 in Pontferrada. I really prepared for that one, and I really worked hard to be there as it was a harder course. I crashed in the race and used all my power to get back in the race for the final sprint, but I came fourth. I was a bit upset because I did all that work for nothing. Then the following year, in Richmond, USA I just broke my bike at 800m to go, so that was a bit unlucky. I was unlucky those two years, but then again I had been lucky in 2010 and 2011 – probably when some other people were unlucky. That’s life. I will just wait my turn for the wins to come back again. Last year was a tough year for me because the Rio Olympics were on and the hilly course was not the best for me but I put myself there to be part of the Olympic team, which is the dream of every athlete. 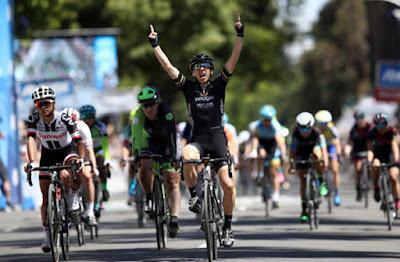 I knew that this could be important for Elisa (Longo-Borghini) and I wanted to help her to try and get the medal. It worked because she got a bronze medal in the road race. However for me, I had worked hard to be selected for the Olympics, and this had involved changing my schedule so that I could be better on the climbs. I was therefore unable to think about my goals or my victories during that time. I was going to retire in 2016, but I didn’t enjoy the racing so much that year and I didn’t want to stop racing while having those feelings. So straight after the Olympics Rochelle [Gilmore] asked me if I was really really sure I wanted to finish career in that season. She offered me a one year contract, which I accepted. I am no longer going to schedule a date to retire! At least for this year I would like to feel relaxed and finish my season and achieve the best that I can for myself and the team, and after I will see how I feel at the end of the season. If you are going to finish your career you should finish with a smile and feel satisfied with what you did, and then you can really feel ready to say “now I’m going to stop.” I don’t want to stop when I am feeling grumpy or with tears. So I will wait first before deciding to retire from racing. For this year I would like to have some wins on the road, though I have not got specific races that I would like to win. And I would like to prepare for the World Road Race Championships in Norway, for the end of the season. My biggest opponent for that event will be the weather. Being Italian, I prefer good weather! So I will need to work on my mindset to be prepared for bad weather. Being involved with my team mates or sometimes with the national team and helping the younger girls really motivates me. I like to give advice and inspire them. Being with younger riders also makes me feel younger! It is important for me to train so that I can be healthy enough to ride with them and help them! Being able to play a part in a victory from a team member also motivates me to get out and train. For example, when I saw Elisa (Longo Borghini) win Strade Bianche this year I was almost crying. Everything was against us that day – there was a crash, a bike change, another bike change, I had to work to pace Elisa back up to the group, Claudia (Lichtenberg) worked with her too, so we all worked together to get that one victory. And that meant a lot to me. Also because some of the girls in my team are my friends I really feel good about working for them. I am looking forward to the Women’s Tour as I really like that race. Some days it can be a bit cold for me, but the organisation, the treatment the racers receive, the hospitality is really good. I think the UK is developing women’s cycling a lot. 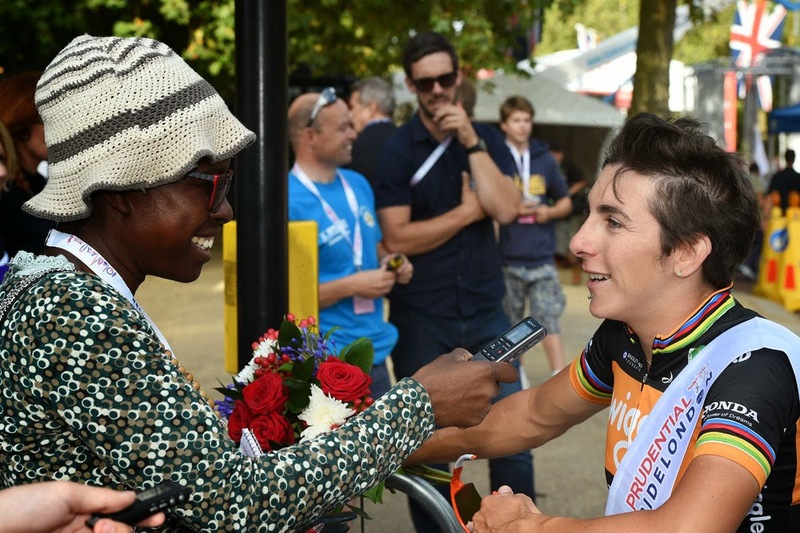 With the track riders and the road riders I think Great Britain is going in the right direction to grow women’s cycling, and I would like to see other nationalities be inspired by Great Britain. I think that Italian riders who want to develop would be better to race in a foreign team because there they can get the professionalism and learn a lot more. In an Italian team they are protected in a bubble and don’t develop enough. In Italy they are trying to develop the teams with a professionalism, but there is a problem of lack of funding (rather than a lack of willingness). We have some good junior riders in Italy, but if they want to develop they should take their CV to foreign teams in Belgium, Holland, or the UK. Italy is an old nation and you really can feel that men’s and women’s cycling racing is separate. It is great that we have a women’s Giro d’Italia though. That means a lot to me, and every year the organisers of the women's Giro d'Italia put in a lot of effort to try to give a good stage race over there so I really appreciate that. For the men’s Giro d’Italia they sometimes invite us to commentate during the stages, so that is how they include women in the event. They have invited me in the past, and if I am able to go then of course I will be there. My ideal day out on a bike would be to ride with mates on a sunny day in Tuscany (though not on a Strada Bianca)! I would do a coastal road that climbs above the coast with good views. Then in the evening I would sit down in a restaurant and have good food and wine. I usually like seafood pasta (Spaghetti allo scoglio). My favourite wine is Prosecco. In red, I like Amaroni, a wine from the Veneto region. I also like Gutturnio, a red fizzy wine from my region. I like this one because it reminds me of home. I never go out cycling without my smile! To have a good day I need to be smiling, and in anything that I do if I do it without smiling it ends up sh1t! So most of the time I want to be positive, and most of the time I am. Bad or unlucky things can happen, but it’s you that is going to turn the day around, and with a smile things end up not so bad.